William Howard was born in Africa and lived and worked at Kirkwood Plantation in Madison County, Mississippi, first as an enslaved man and then, after the Civil War (1861–65), as a free man. 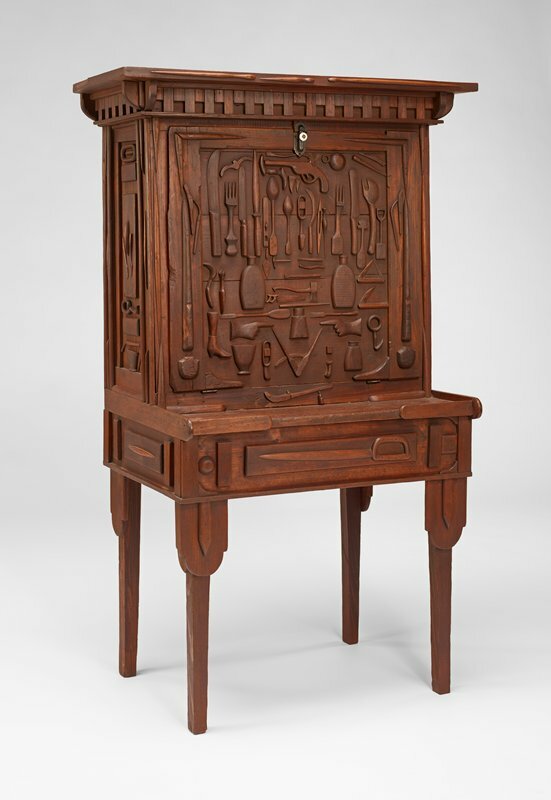 This desk was handed down through an African American family, along with the story of William Howard as its maker. Showcasing Howard’s ingenuity and technical skill, the desk has a high-style, neoclassical form constructed of rough “make-do” materials, such as Bull Durham tobacco boxes and cotton shipping crates. More than seventy separately made hand-carvings of weapons, tools, eating utensils, trade symbols, and other objects embellish the front and sides.